In recent Revlon event Kelley Phelger bumped on her husband's twice ex-wife Melanie Griffith. But Don seem to be very friendly with his ex-wife Griffith. Kelley Phleger; she is an American Socialite and a Montessori nursery school teacher. 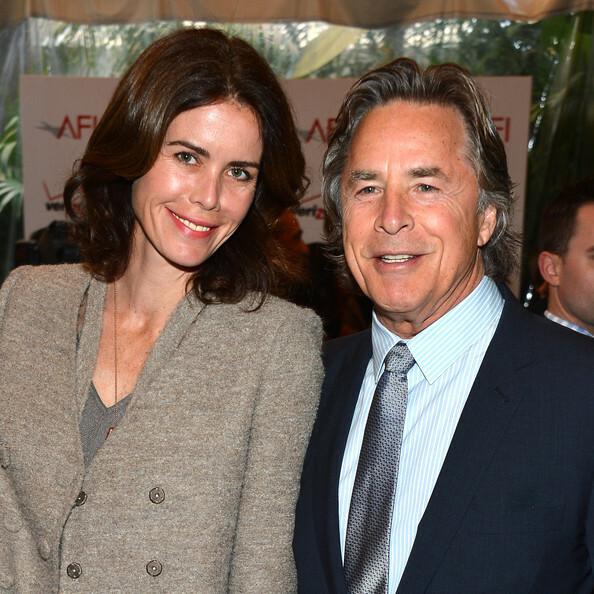 But she is better recognized as a wife of a famous actor, singer and a producer, Don Johnson. Recently, she has been seen with her husband at ‘Revlon Event’. But awkwardly, they bump into Don’s ex-wife Melanie Griffith at the event. Find out what happened and how they countered. Kelley and Don were at the ‘Revlon’s Annual Philanthropic Luncheon’ together when they bump into Don’s ex-wife ‘Melanie Griffith’. However, Kelley was cool with the meeting and didn’t appear like she had a grudge against her or anything. To let you people know, Don and Melanie married and divorced twice, but they seem to get along better these days when they are not in a relationship, which is kinda cool. You know, when people break up, they seem to avoid the person more and try to get along with their own life. But Don’s case is totally different around here, don’t you think? Donnie Wayne ‘Don’ Johnson and Kelly Phleger married on April 29th, 1999; at the Pacific Heights Mansion of Ann and Gordon Getty. Together, they have 3 children named ‘Atherton Grace Johnson’ (daughter), and two sons, ‘Jasper Breckinridge Johnson’ and ‘Deacon Johnson’. Prior to their marriage, Don has been married 5 times and they failed to last their marriage. However, Kelly and Don don’t seem to have any sort of relationship issues so far and there are no gossips about their divorce and stuffs. Don and Melanie met during the year 1972 and they started living together when Melanie just turned 15. They got engaged on Melanie’s 18th birthday and married in January of 1976. However, they were not able to make it last and had to file a divorce by July of the same year. After the separation, they united one day and began dating one more time. And in 1989, Melanie gave birth to their first child named ‘Dakota Johnson’. Later, they got married for the second time and married until the year 1996.